1) Preheat oven to 350°F. Lightly grease tins. 2) Mix the graham cracker crumbs, 1/3 cup sugar, and melted butter until well blended. Evenly distribute into tins. 3) In a mixing bowl, beat cream cheese, sugar, eggs, and vanilla until light and fluffy. Fill each tin with the mixture, almost to the top. 4) Bake for 15 minutes. Let cool and top with a teaspoon of your favorite garnish. I garnish it with either my homemade cherry or raspberry jam! The mini cheesecakes are made in a "Nonstick 12 mini cheesecake pan" with removable bottoms for easy release of cakes. 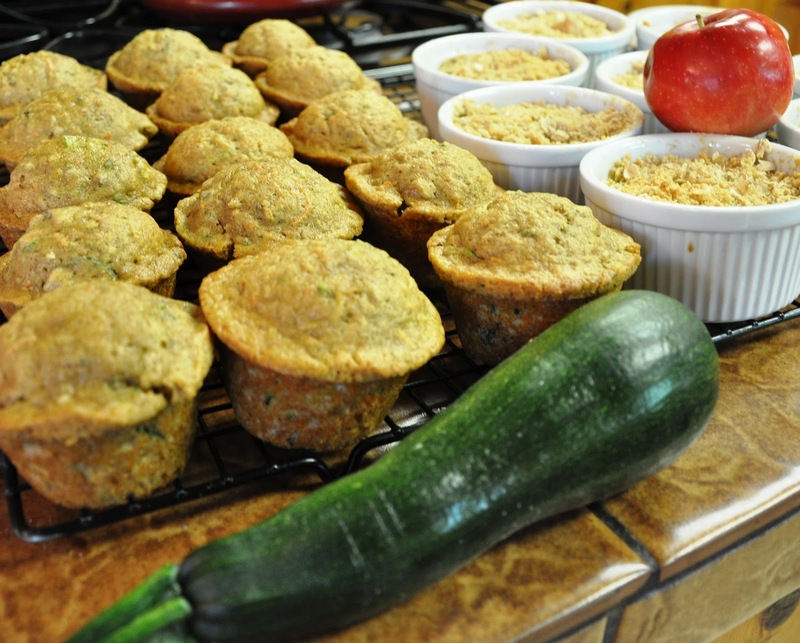 I have made this Zucchini muffin recipe many years and it is a favorite at the Avenue Hotel Bed and Breakfast with the summer season of fresh vegetables coming on. I shop the local framer's market in Colorado Springs and use our local produce as much as I can this time of year. Randy and I picked apples from our daughter, Amy's, house in Canon City yesterday. I made apple crisp this morning for guests for breakfast with zucchini muffins. Randy picked the zuc's from our tiny little garden patch last night after finishing unloading 5 buckets of apples from the truck. 1) Grease and flour 12 muffin cups. Heat oven to 375°F. 2) In a mixing bowl, beat the oil with eggs, sugars, and vanilla extract. 3)Combine the flour, soda, baking powder, salt and cinnamon; add wet ingredients; stirring until blended. Fold in shredded zucchini and carrots. 4) Fill in muffin cups about 3/4 full; sprinkle with cinnamon sugar or granulated sugar if desired. Bake for 20 minutes. Makes 12.